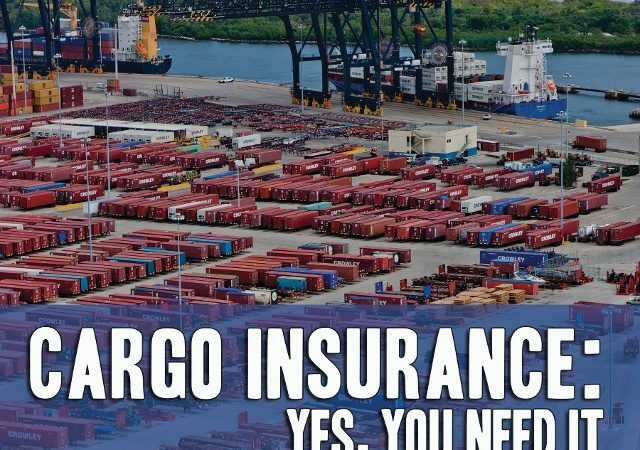 Cargo Insurance: Do I Need it? Insurance for Cargo Shipments? Yes, it Exists, and Yes, You Absolutely Need it. If you’re a small to mid-size shipper, a lack of risk management and cargo insurance coverage can quickly drain profits and damage reputations. “Game Over” is a high price to pay for getting tripped up by an unforeseen snag in your supply chain. To remedy that, cargo insurance is a beneficial tool that can be used to provide for some financial stability against cargo loss or damage. Additionally, it helps set clear rules for payment responsibilities between buyers and sellers in the event of damage, and lessens legal disputes. Did you know that laws and tariff restrictions, such as The Carriage of Goods by Sea Act (COGSA), limit the liability of carriers and the amounts carriers must pay in the event of cargo loss or damage? This further highlights the importance of the shipper obtaining their own cargo insurance. One type of available coverage is called “All Risk*” insurance and it’s the broadest form of coverage available in the marketplace for shippers. It is a uniquely specialized insurance coverage designed to protect goods against all risks of physical loss or damage from any external cause during international and domestic transit. Coverage applies to all modes of transit throughout the supply chain on a global basis, and even carries a zero deductible for approved, general merchandise. 12 Hour Reefer – The policy covers loss or damage caused by derangement, breakdown or malfunction of the refrigerated container unit, that lasts a minimum of 12 consecutive hours – not the industry standard of 24 hours. Coverage is provided if the loss or damage is caused by the negligence of the party in possession of the goods. Import Duties – If the goods arrive damaged at destination, the policy provides for inclusion of duty paid in the claim. Customs Damage – Covers loss or damage due to Customs or other governmental agencies, while inspecting the goods. Pairs/Sets – If there is damage to a single item of a pair, coverage extends to cover the set or pair. Expediting Expense – In the event of a claim, coverage is extended to expedite replacement or repairs. Whether you ultimately decide to purchase All Risk insurance or another type of policy that meets your needs, the importance of protecting your cargo along the supply chain can’t be underscored enough and is a requirement of shipping. Whether it’s your personal or business property, you should be aware of liabilities and available options. To review a list of Frequently Asked Questions about this type of insurance, click here. If you don’t currently have an experienced cargo insurance agent to guide you through the process, we invite you to consider Whitehall Insurance for consultation before your next cargo move. *All Risk is a term which describes a broad form of coverage. It does not cover every scenario. The policy comes with terms, conditions and exclusions. A copy of full policy terms and conditions is available upon request. Hurricane Season: Are You Prepared with Proper Cargo Insurance? Refrigerated Shippers: Do You Have Proper Cargo Insurance?